From the great Columbian Exposition to the signature innovations of Skidmore Owings & Merrill, among others, Chicago has been at the forefront of architectural innovation and a force in determining where and how we live. 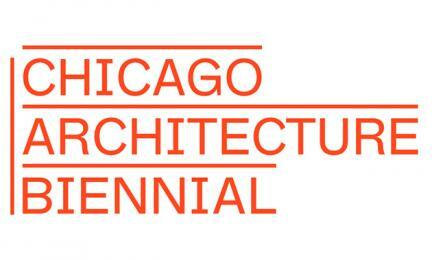 The Chicago Architecture Biennial (CAB) will continue that daring conversion. Entitled The State of the Art of Architecture, over 100 architects and artists—representing more than 30 countries— will present unique architectural projects in the Biennial’s exhibitions and programs, which will take place at the Chicago Cultural Center and other sites across the city, including Millennium Park, City Gallery in the Historic Water Tower, Expo 72, and the Stony Island Arts Bank, the latest initiative of acclaimed Chicago artist Theaster Gates. Four French agencies will present their work and practice: Didier Faustino, whose multiform work explores the relationship between body and space; Lacaton & Vassal + Frédéric Druot, an agency whose uniquely humanist attitude towards spacial renewal and efficiency enhances the lives of those it impacts; LIST, the Paris-based urban planning and architecture agency of Ido Avissar; and New Territories/M4/François Roche/Camille Lacadee, a firm organized on a foundation of three principal themes: research as speculation, fiction as practice, and practice as lifespan. As a partner program of the CAB, Rebuild Foundation presents Xavier Wrona as an Architect-in-Residence of the Méthode Room residency. Wrona’s project, the first in the Méthode Room series, features an exhibition at Rebuild’s Archive House as well as the launch of a five week long architecture TV channel. Support to the French agencies is provided by the Institut Français in Paris and the Cultural Services of the French Embassy in Chicago & New York as international partners of the Chicago Architecture Biennial. Didier Faustino is an artist and architect who works on the intimate relationship between body and space. His approach is multifaceted, from the creation of visual art to the design of spaces that exacerbate the senses. Prominent projects include Body in Transit, which is in the collection of the Centre Pompidou, Paris, and Double Happiness, presented at the Hong Kong/Shenzhen biennale in 2009. Faustino received the Académie d'Architecture's Dejean Prize for Lifetime Achievement in 2010. He is currently working on prestigious architectural projects around the world, including a library and a cultural center in Mexico, and an experimental house in Spain for the curatorial series Solo Houses. LIST is a Paris-based architecture, urban planning, and research office, founded in 2012 by Ido Avissar. LIST’s practice is focused on Europe, and works mainly in France, Belgium, and Switzerland. Avissar currently teaches at the École Nationale Superieure d’Architecture de Versailles, and is a visiting tutor at The Berlage in the Netherlands. François Roche is co-founder, together with Camille Lacadée of New-Territories, a platform for research and practice, that includes R&Sie(n) in Paris, Lab M4 (MindMachineMakingMyths), and [eIf/bʌt/c] Institute for Contingent Scenarios, Bangkok. Through these different groups, Roche seeks to articulate the passages between the real and fictional, as well as the geographic situations and narrative structures that transform that relationship. Working between architecture and film, Lacadée's primary interest is in the physical manifestation of psychopathologies, through the interactions of stage props and short films. Rebuild Foundation presents Xavier Wrona as an Architect-in-Residence of the Méthode Room residency. Wrona’s project, the first in the Méthode Room series, features an exhibition at Rebuild’s Archive House as well as the launch of a five week long architecture TV channel. Interested in the connection between architecture and social justice, his exhibition explores French intellectual Georges Bataille’s definition of architecture as a tool through which an ideologically dominant order manifests itself in reality. The exhibition and TV program are aimed at reorienting the field of architecture towards the daunting problems of the contemporary world order. The Méthode Room is curated by Guillaume Désanges and made possible by the support of the Cultural Services of the French Embassy in Chicago & New York and the Institut Français. Xavier Wrona is the Founder of the French architecture agency Est-ce ainsi, which works to refocus the architectural practice on its political consequences and its possible participation in the reform of vivre ensemble, or “living together.” Est-ce ainsi articulates a critical reading of the figure of the architect throughout history with a particular attention to the means of production of the built environment. The agency was awarded the Young Architects and Landscape Architects Prize by the French Ministry of Culture in 2010.